Come meet the man you have known for all of your life! You may not know Ub Iwerks by name, but you certainly know his accomplishments. Walt Disney's friend, partner, adversary and alter ego all rolled into one, Iwerks was responsible for creating Mickey Mouse, adding color, sound and 3-dimensionality to cartoons and basically revolutionizing live-action films with his inventions, innovations and sheer brilliance. Without Ub Iwerks, we would not have the joy of seeing Donald Duck dancing with Aurora Miranda, Hayley Mills singing with herself or the Birds terrorizing Tippi Hedren in Alfred Hitchcock's masterwork. Without Ub Iwerks, we could not have experienced the thrill of the Haunted Mansion, Pirates of the Caribbean or Circlevision to the same extent. Without Ub Iwerks, we could not have the technology available to allow the current generations of filmmakers -- people like George Lucas and Steven Spielberg -- to create worlds and effects that are truly unbelievable. 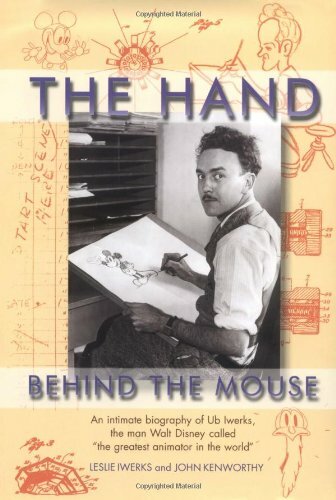 Ub Iwerks' creations are legendary, but in The Hand Behind the Mouse, we get to see for the first time, the intimate and personal story of the man himself -- Ub Iwerks.